September 12, 2017  Tuesday's report, the first such recommendations for manufacturers released under the Trump administration, trims some of the guidelines set out under Obama. Still, they remain voluntary. April 3, 2017  Currently, insurance rates are calculated based on drivers' claims histories and driving records. 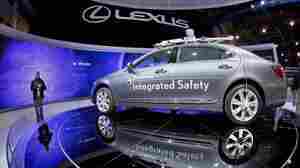 Driverless cars are expected to shift the liability toward carmakers. But it won't happen all at once. 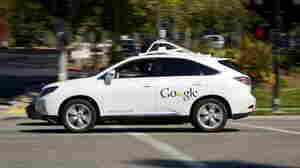 February 24, 2016  California regulators say autonomous cars should have a licensed driver, but a top Google engineer says that makes as much sense as putting a steering wheel or brake pedal in the back of a cab. 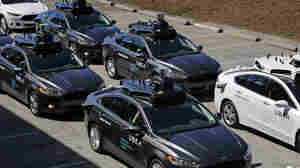 February 23, 2016  California's Department of Motor Vehicles proposed that self-driving cars should have a licensed driver inside. It may disrupt the dream of driverless cars, but it's also seen as a step for safety. Self-Driving Cars Are Coming, But Are We Ready For Them? 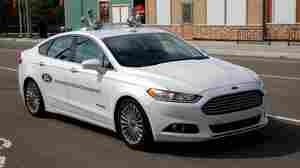 January 11, 2016  Automakers and tech companies are racing to develop them. But is the public ready to give up control of their cars? The University of Michigan's Transportation Research Institute has been evaluating. 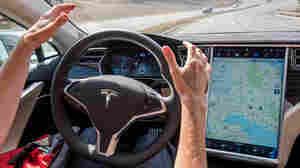 October 15, 2015  The electric car company Tesla is now becoming the self-driving carmaker. Today it releases software to tens of thousands of Model S owners to automate steering, lane change and parallel parking. July 31, 2015  Automakers and researchers are using a 32-acre fake city at the University of Michigan to simulate a real-world environment for autonomous vehicles. 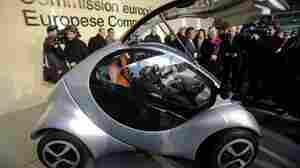 How will such cars affect urban planning? May 27, 2014  The company that started as a search engine is making a big leap into the auto industry. 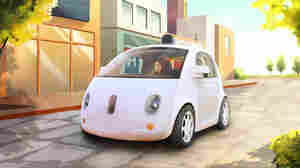 Scientists at Google X are building self-driving cars they plan to debut (at least in test mode) this summer. 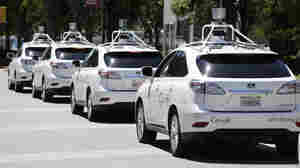 January 17, 2013  New technology is getting us closer and closer to the point where cars will drive themselves. Automakers are testing and refining systems that will make this happen. But our love for control may keep us from riding in these cars anytime soon.